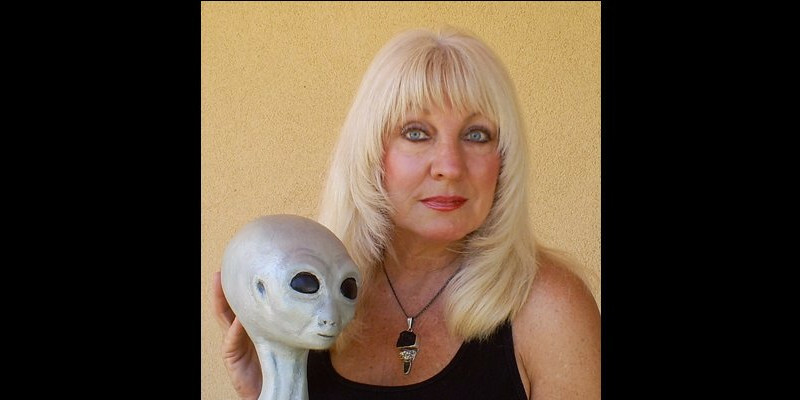 An alien statue sculptor named Cynthia Crawford admits she is 66% alien and 34% human. The Arizona-born woman claims her job as an artist who molds alien statue pieces is helping her stay connected with her birthright because she believes that she comes from another extraterrestrial species. During an interview Cynthia shared that she is a product of an awful experiment conducted in Korea where her father worked with the government to dismantle and study alien devices which were discovered in the remains of their crashed spaceships. She admits that her mother was dozed with intoxicating chemicals then impregnated with alien DNA. 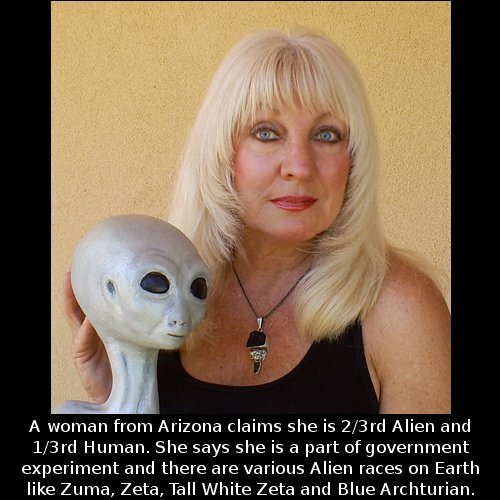 This is why the woman has only 34% of human DNA and also very porous bones that are typical for her alien ancestors. Not only that but she claims she got abducted by aliens when she was a child and more experiments were conducted on her by the invaders. She believes she has a mission on Earth to educate mankind about the aliens and warn them of the dangers that are yet to come.